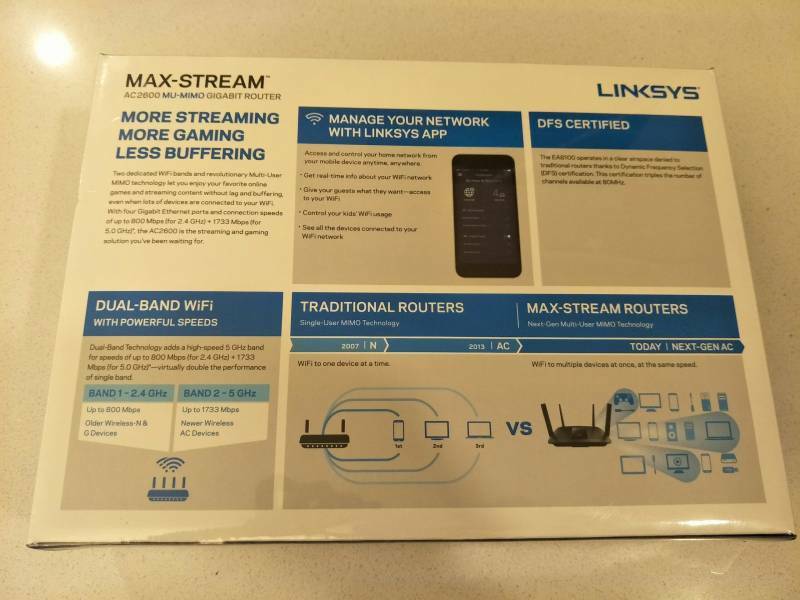 Brand new, unopen Linksys Max-StreamAC2600 MU-MIMO Gigabit Router. 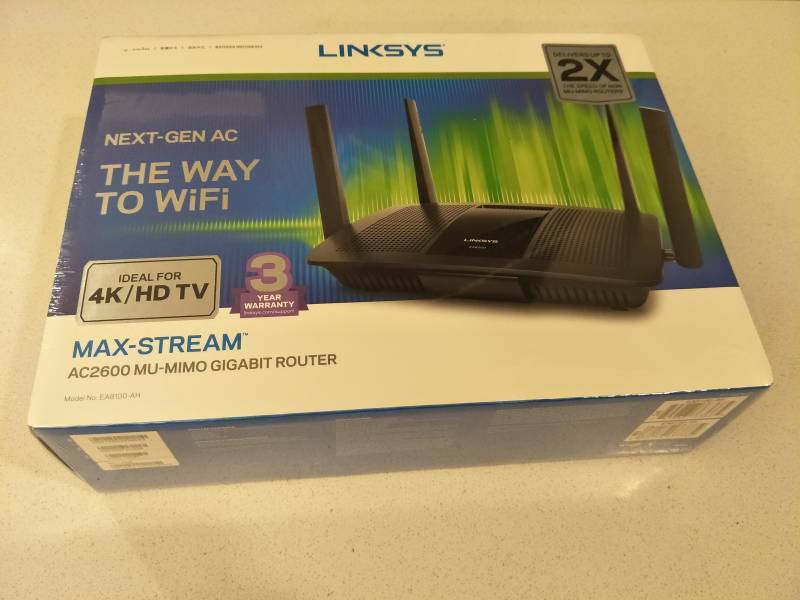 Delivers up to 2X the speed of non Mu-Mimo routers, ideal for 4K/HD TV. Enjoy online games and streaming content without lag and buffering. Access and control network from mobile device anytime, anywhere with Linksys App. Comes with 3 years warranty. Retail price is $450, willing to let go at $400. Meet up for collection only.